Businesses are rapidly adopting virtualization, cloud infrastructure, and SaaS applications broadly across the enterprise to minimize costs and enable seamless collaboration and communiation. This is significantly straining the traditional network paradigm. 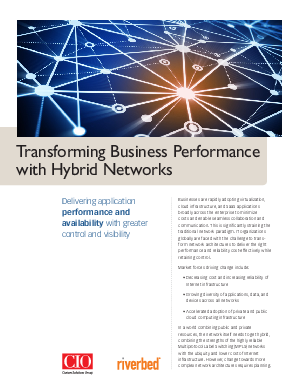 It organizations globally are faced with the challenge to transform network architectures to deliver the right performance and reliability cost-effectively while retaining control.